Mark Watney is stranded….on Mars. That in itself was enough to grab my interest. It makes the idea of being stranded on a desert island almost a non event. After a huge sand storm and an equally huge misunderstanding by his crew mates Mark is left to die. Unless he can find a way to survive for about four years in the totally hostile environment he finds himself in. This takes sci-fi to the extreme, it shows very cleverly how the answers to seemingly insurmountable problems can be achieved by applying science and the resourcefulness of man. Mark’s engineering skills are tested to the limit as is his determination not to give in to the impossible odds stacked against him. The amount of research that must have gone into this book is incredible. Although a lot of the technicalities were way over my head it didn’t get in the way of my enjoyment of the book at all. It's very interesting, amazingly descriptive and detailed and gives a really visual picture of what Mars would be like and how unforgiving it is. Every time Mark finds an ingenious solution to one problem another one arises, it’s very gripping and so full of suspense. And that’s no mean feat considering for most of the time it was Mark’s narration with no dialogue except when the focus switched to the US and China for a short while. Mark is very intelligent and creative and tells his story with humour and wit through his, mostly daily, log entries. A very likeable and real personality. 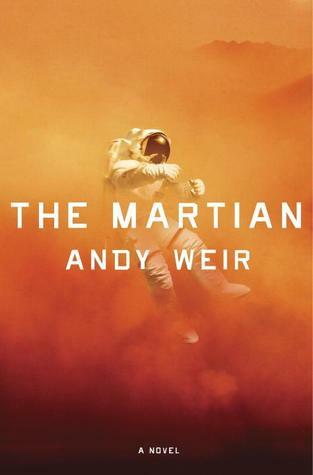 I enjoyed the narration very much, R C Bray was Mark Watney with all the emotional reactions you would expect in such a bizarre and nerve-rackingly tense situation.